NXNE is an embarrassment of musical riches, but it can be hard to find the best acts. Even so, don’t panic. We have put together a comprehensive guide to the festival. Doldrums playing Wrongbar, in 2011. It wasn’t so long ago that most of the groups finding fame and fortune in Toronto and elsewhere had guitars and indie-rock motifs at their core. Electronic music was almost solely the domain of DJs and a few outlier visionaries like MSTRKRFT and Junior Boys. But the success of acts like Austra, Diamond Rings, Azari & III and The Weeknd (and many more) are increasingly leading musicians to unsling the axe and plug in a synth. Here are some NXNE acts who proudly call their sound electronic, whether that means a blistering beat you can shake and sweat to, or an icy-cool trip you can drift along with. Where to Go: The venue that’s probably the most attractive to fans of electronic music at NXNE is Wrongbar, in Parkdale. That’s where you’ll be able to catch acts Like Doldrums (June 16, Wrongbar, 10 p.m.), Edmonton’s Purity Ring (June 14, Wrongbar, 1 a.m.), and Brooklyn’s Young Magic (June 14, Wrongbar, 11 p.m.). 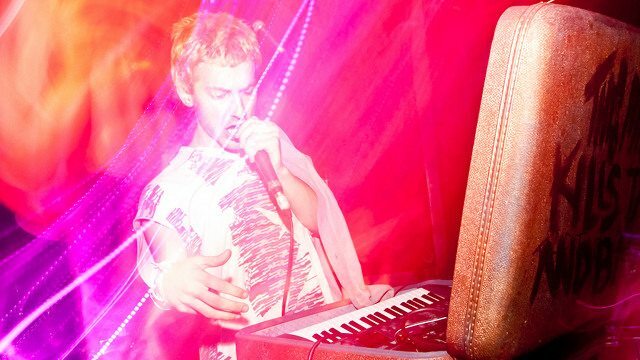 We’d also highly recommend local electronic—music blog Silent Shout‘s “Snythbeque” on June 16, at Milk Glass Co. In fact, that blog is a top-notch resource to check for electronic acts. If they’re a Silent Shout alumnus, like Dinosaur Dinosaur (The Painted Lady, June 16, 1 a.m.) or Phedre (Sneaky Dee’s, June 15, 12 a.m.), chances are they’ll draw the hometown electronic fans. Do’s and Don’ts: Do take a chance on out-of-town acts like Boston’s Animal Talk (The Painted Lady, June 13, 10 p.m.), or Vancouver’s Gold & Youth (The Rivoli, June 14, 11 p.m.). But don’t neglect homegrown acts like BEATFACE (The Velvet Underground, June 15, 2 a.m.), Beta Frontiers (Sneaky Dee’s, June 15, 1 a.m.), and Kontravoid (The Silver Dollar Room, June 16, 3 a.m.).